The 74th annual awards of the Golden Globe held at The Beverly Hilton Hotel in Beverly Hills was remarkable. From wardrobe malfunctions to the dominating colors that took the night, menswear and men’s sense of fashion shared a significant view in the event as well. Most men wore their best suits and tux. The black and white coat has been the all time favorite and continued to show how gorgeous these men are. 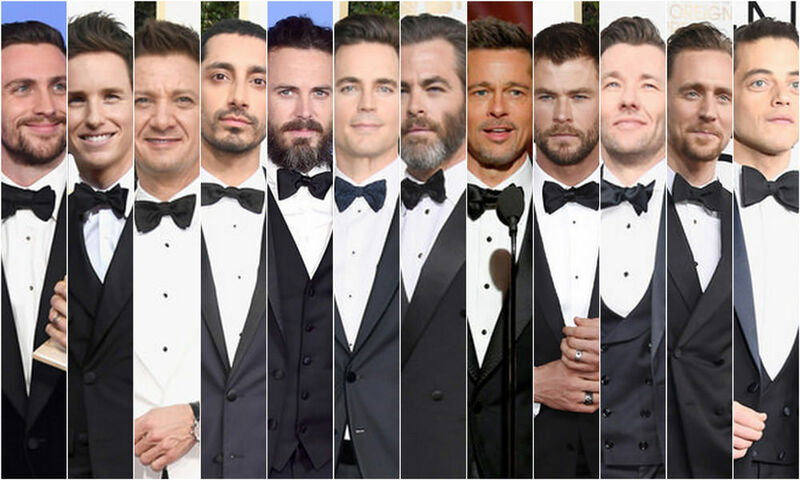 From the risky red carpet appearance, down to their choice of clothing, the Golden Globe men was never out of fashion. Donald Glover shined with his Brown velvet Gucci suit. You can never ignore a great clothing that fits her style and persona. A classy vintage vibe that captures the evening with a little bit of swag. Then who can never notice Ryan Gosling with hi white Gucci tuxedo partnered with a black bow and a corsage? He presented the suit well enough. He looked stunningly hot and with a little bit of angst, he nailed it. Well, Torm Ford will always be Tom Ford. Wearing his own collection, he just made it look effortlessly elegant. The design really fits his style and every inch of the suit really made him stand out in the crowd. The black suit corresponds well in his body figure making him look more manly yet classy. Then there is Pharell Williams, who wore archival Chanel. You can definitely say that he has a lot of fashion styles that only he can pull off. The white medium length suits the singer/rapper perfectly. Yes, Chris Pine wore an Armani suit collection. It was said that he handled the suit very well. It just complimented his height and the beard also added a manly catch that made him noticeably handsome. Next post What Are Men Looking For In A Date?